Let’s take a trip back to the long-ago times of 2002. Spider-Man was in theaters. Gamers were playing Grand Theft Auto: Vice City. TV watchers hadn’t yet cut the cord, and were exposed to countless advertisements for the Psychic Readers Network and Miss Cleo. Here in 2017, Spider-Man: Homecoming is in theaters. Gamers are anxiously awaiting Grand Theft Auto 6. 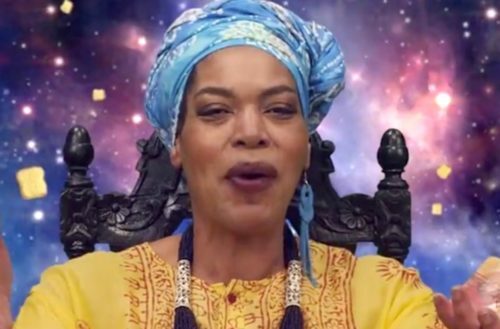 Youree Dell Harris, the lesbian actress who played Miss Cleo, has been dead for a year. 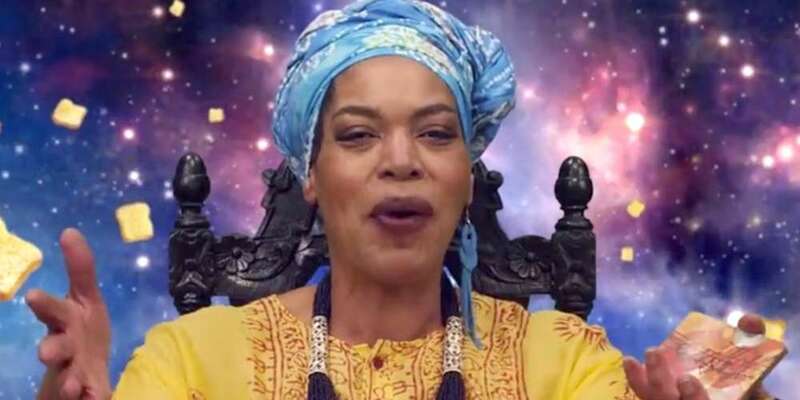 And the Psychic Readers Network is suing Rockstar Games, creators of Grand Theft Auto: Vice City over Auntie Poulet, a character parodying Miss Cleo. In the game, Auntie Poulet is the leader of the Haitian Gang. She uses the gang as personal protection and provides Tommy Vercetti, the player character, with “mind-altering voodoo potions” to brainwash him into doing missions for her. Strangely enough — Poulet is voiced by Miss Cleo herself, Youree Dell Harris. Much like Miss Cleo, Auntie Poulet is not exactly an unproblematic character. Both traffic in stereotypes of black Caribbean people as mystics. Poulet also adds a cartoonish representation of the real religion Haitian Vodou, unfortunately common in American media. So, sure — Auntie Poulet might not be the best example of representation in the world. But that’s not why Psychic Readers Network is suing. They’re suing over the most common cause in the world: money. PRN owns the Miss Cleo character. They claim that they spent $100 million making the character famous and that Rockstar Games and Take-Two Interactive (which owns Rockstar) have made $500 million off Auntie Poulet. It’s widely assumed the Psychic Readers Network has an uphill battle ahead of them. (Something they perhaps should have foreseen?) Most importantly, the game is 15 years old. PRN hadn’t seen fit to sue in any of that time — or even seemed to have made comments about the Auntie Poulet character. In fact, by the time the game came out, the Miss Cleo ads were already on their way out. The same year, the Federal Trade Commission charged PRN with deceptive advertising. In a $500 million settlement, PRN agreed to pull the Miss Cleo advertisements from the air in November 2002. Additionally, Rockstar could easily claim that Auntie Poulet is just a parody. Parody is generally protected by the First Amendment. Either way, we’re not holding our breath that this case will have a good outcome for PRN — if it even goes to trial. In fact, you could even say we predict PRN will regret their decision to sue.